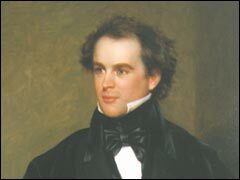 The Nathaniel Hawthorne Society invites eight- to ten-page papers (or 500-word proposals) for presentation at the 2004 NHS conference, which will commemorate Hawthorne's bicentennial, in Salem, MA, over the July 4 weekend. Papers will be selected by a committee on a competitive basis. Authors might well bear in mind the bicentennial occasion, Thus, for example, taking retrospective views of Hawthorne scholarship (the comings and goings of critical-theoretical perspectives, the rise and fall of attention given to certain works and the cultural implications of such shifts, the continuing attraction of some works and the reasons for such stability), as well as taking the measure of current studies in Hawthorne and offering suggestions on what directions seem opportune or necessary for future studies. This is not to suggest, however, that innovative papers will be unacceptable. Papers and proposals should be sent by December 2003 to Frederick Newberry, Department of English, Duquesne University, Pittsburgh, PA 15236.